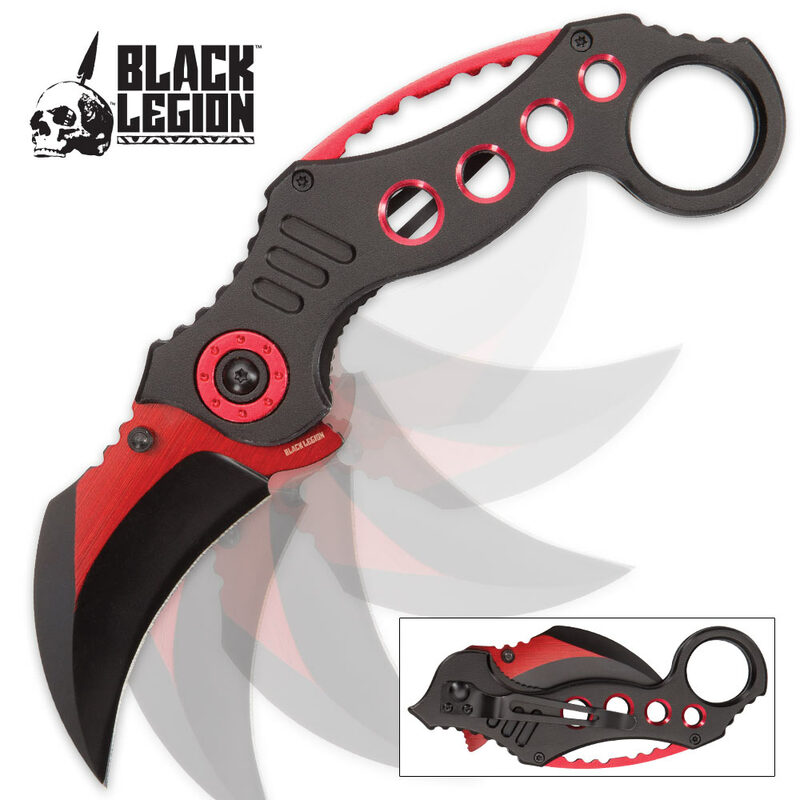 The Black Legion Devil Karambit Pocket Knife may be easier to carry than a traditional karambit but it packs every bit as much stinging and cleaving punch! Thanks to the advanced assisted opening mechanism, the convenient thumb stud or flipper sends it flying open at lightning fast speed to reveal the sinister-looking, razor sharp 2 1/2" 3Cr13 steel blade. The karambit's iconic raptor talon features an ominous black finish, sharply offset by the iridescent red of the blade spine. That brilliant, eye-catching crimson is scattered throughout the black anodized aluminum handle, as well, beautifully accenting the handle spine and through holes. 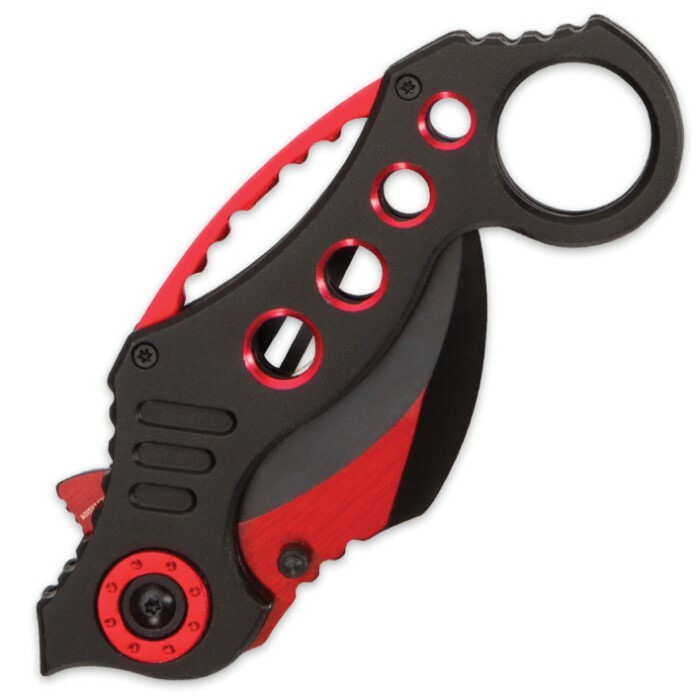 Unlike more traditional fixed blade karambits, at 5 1/4" closed, the Devil Karambit fits easily in jeans pockets, especially with the integrated pocket clip. Safely carry all the menace, potency and ferocity of the legendary karambit in your pocket anytime, anywhere. Bought this knife 3 months ago on a sale. Arrived next week. I use it every day. Thing came really sharp. It will cut through almost anything i need. Havent had to sharpen it once. 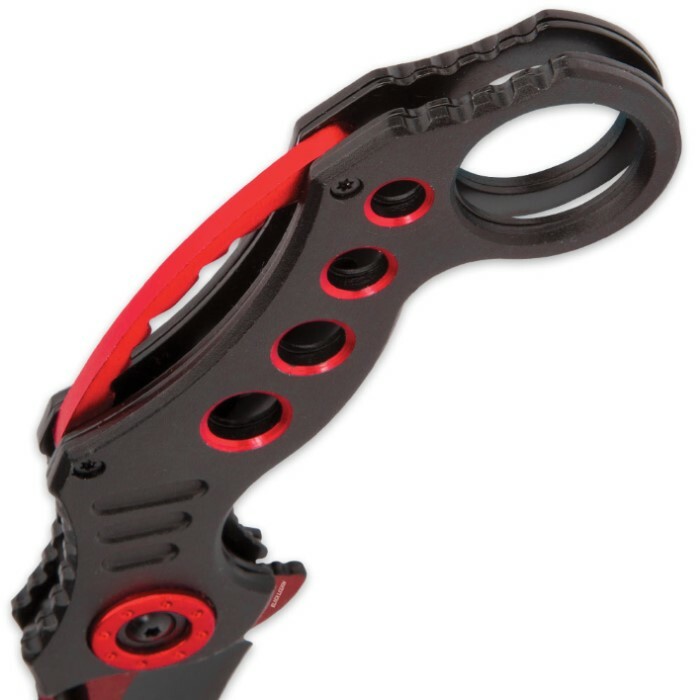 This folding karambit is a thing of beauty and works wonderfully. Smooth operation with lightning fast delivery. Well worth the money.